You may know the fact that Morphine is a recreational drug used to relieve intense suffering and pain but in the meantime, latest news for you is that scientists have created a more powerful painkiller from the venom of snails; it has been revealed that this painkiller is stronger and more effective than those contains Morphine. 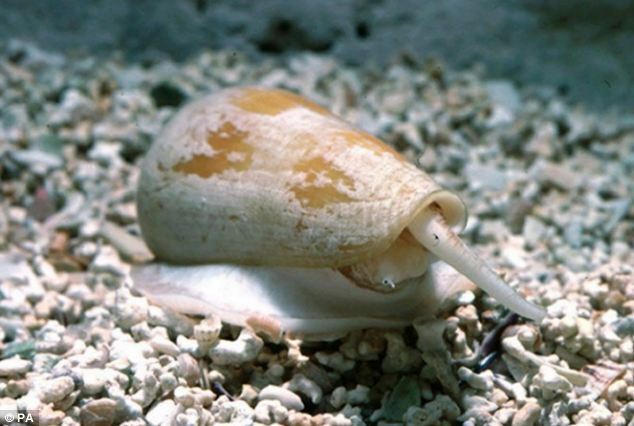 Cone snail's venom contains tiny protein-based substances seem more powerful than morphine. This is the only drug that is based on proteins; so should be injected into the spine of patients for more effective results. According to David Craik, a professor in University of Queens land Australia, this experimental painkiller is a remarkable incremental step and it seems that the scientists would create a drug soon to treat chronic and severe nerve pain. The painkillers from venom have been created through a diverse mechanism than morphine and thus possibility of having minimal side effects; this is one of the notable advantages of this drug. I wish to express my aiipecratpon to the writer just for rescuing me from this condition. Just after checking throughout the world wide web and meeting opinions which are not powerful, I believed my life was gone. Existing minus the strategies to the issues you've sorted out as a result of your article is a serious case, as well as ones that could have in a negative way affected my entire career if I hadn't noticed your web blog. Your main competence and kindness in playing with the whole lot was excellent. I'm not sure what I would have done if I hadn't encountered such a solution like this. I'm able to now look forward to my future. Thanks a lot so much for your reliable and sensible guide. I will not hesitate to recommend the sites to any person who should get guidelines on this problem. It is important for pelope to understand that painkillers can be addictive. As you mentioned painkiller addiction is on the rise. Not only are pelope who were prescribed these medications finding it difficult to stop but there is also huge usage among teens. It is very important that pelope understand that this is an addiction and that there are painkiller treatments out there to help. Thank you so much for sharing this important article.